The Comedy Exposition is an independent festival highlighting all the talented comedians who perform in underground and alternative venues in Chicago and across the country. Organized by stand-up comedians, the 4-day event kicks off this Thursday, and will feature performances from headliners Greg Proops, Marina Franklin, Eddie Pepitone, and Megan Gailey, as well as many great local (and otherwise) comedians. 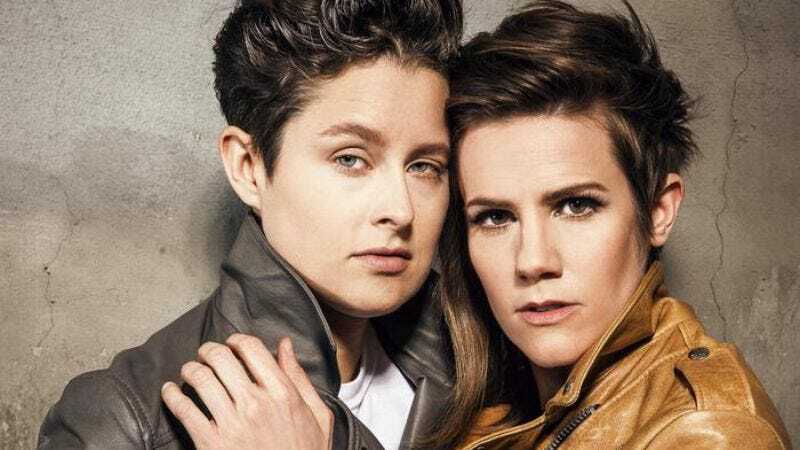 The comedy festival will also host a special screening of Seeso’s new original series, Take My Wife, starring Cameron Esposito and Rhea Butcher. In Take My Wife, the newlyweds—they got married in Chicago earlier this year—will play a young lesbian couple whose domestic life “intersects with the underground stand-up showcase they co-host in Los Angeles.” Esposito and Butcher also executive produce the single-camera series with Scott Aukerman and David Jargowsky. Festival attendees can catch a free preview of Take My Wife on Saturday, July 23 at 5:30 p.m. at the Hideout. The screening will followed by a Q&A with Esposito and Butcher hosted by A.V. Club Senior Editor Marah Eakin. Tickets and passes for the Comedy Exposition are on sale here.